Durham Advanced Motorcyclists are holding their Club Night on Tuesday 23rd February. Hein Gericke, Darlington are having their Open Day / 40th Anniversary Catalogue Launch on Saturday 27th February. Alison, Tim, Sue & Craig will be 'on hand' to help you out and Mick Alder will be down their all day if you want to talk about BikeWise Training or the Mini Bike Club. BikeWise Mini Bike Club is being held on Sunday 28th February at Black & Deckers, Green Lane Spennymoor. 1000hrs for a 1030hrs start. It's that time of year again to 'dust off' your email address, think of a password and then register for the 2010 Road Racing season with the MCN Fantasy Road Race . You pick your 'team' of six riders, two each from BSB, WSB & Moto GP from the riders available and then once you've got your team selected, then, enter the BikeWise League. Its FREE to enter and the top prize is once again an amazing Yamaha R6 worth over £8,000, courtesy of MCE Insurance. There are also seven 'Game Round' prizes to play for during the year, too. For more information on prizes, just click here. Bike-catching average-speed cameras are to be installed on the A537 Cat and Fiddle run from Macclesfield to Buxton from next week. The popular biking road will be one of the first in the country to get a new generation of average-speed cameras which are rear-facing so they can read motorcycle number plates. Work will begin installing seven of the devices from Tuesday. They will also be put on a stretch of the A54 which joins the A537. Both roads have a 50mph limit. All of the cameras will be linked together and vehicles constantly monitored within the speed control zone. Riders who progress between any two of the devices too quickly will be issued with a prosecution notice. In the past average-speed cameras have only been linked in pairs, measuring speeds from one to the next along a single lane of traffic. 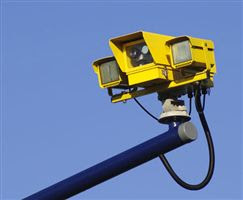 The new cameras are expected to be operational before motorcycle traffic increases in April. “We want all road users to come and enjoy this scenic route responsibly and lawfully. Unfortunately, a minority of riders treat the road with a race track mentality — we have recorded bikers riding at speeds of 130 mph. 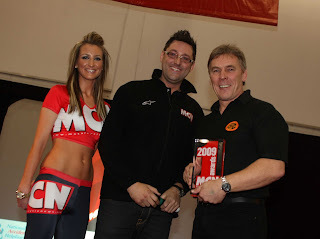 Here is the full list of winners of the prestigious MCN Awards announced at the Carole Nash MCN Motorcycle Show held at the Excel Arena - London. Check out Wednesday’s Motorcycle News for the full story behind the winners. Winner: Bob Brown – former Police motorcyclist who was instrumental in setting up the phenomenally successful Durham Bike Wise motorcycle event which attracts thousands of riders every summer. Award: MCN Machine of the Year. Doors open 7:30pm, show starts at 8:00pm. Entry, £2.00 for members and £3.00 for non-members. Also Bar, Raffle and Television with highlights from recent race meetings. Saturday 27th February sees the launch of the 40th Anniversary catalogue and to mark the occasion the team at Hein Gericke Darlington have some special events in the planning. Not only will the catalogue be the twice the size of previous years but many products will be showcased for the first time. See the 2010 selection from Alpinestar and Arlen Ness, this year’s collection promises some breath taking items, and to cap it all Hein Gericke Darlington has been appointed County Durham’s newest and only authorised Dainese stockist. Of course Hein Gericke’s unsurpassed reputation for quality and affordability remains, and our 2010 range will not disappoint. In addition to this we have organised various other displays (TBA), along with the chance to find a 'Golden Ticket' in your 2010 catalogue which may see you being the benefactor of a prize ranging from £5 through MotoGP tickets to a full kit out! The day promises to be excellent fun so why not call in grab a coffee and doughnut.